Similar to Model 0810 except without top. Holds more than 14 gals [54 liters] of waste material. 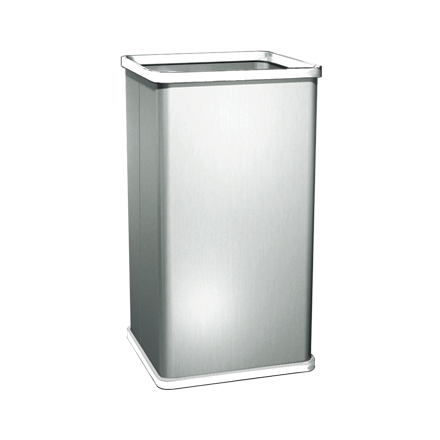 Receptacle includes two continuous vinyl wall protectors, top and bottom, around entire perimeter. Bottom of receptacle is equipped with four (4) non-removable rubber supports. Waste material is deposited into the receptacle through opening. Use of a disposable trash liner bag recommended.